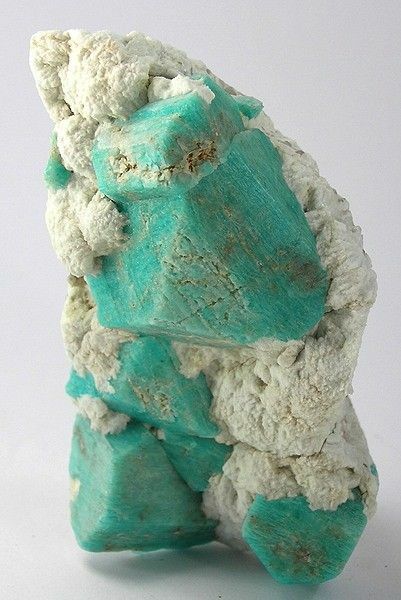 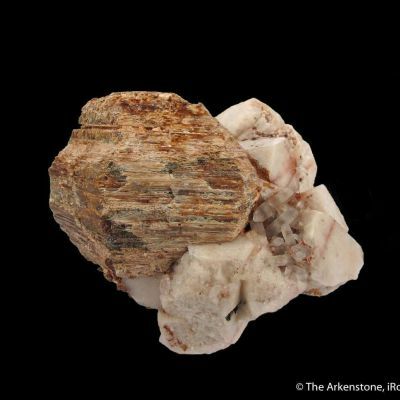 Here is an unusual piece in that the amazonites are embedded in a field of stark white microcline that provides a beautiful contrast with the amazonites. 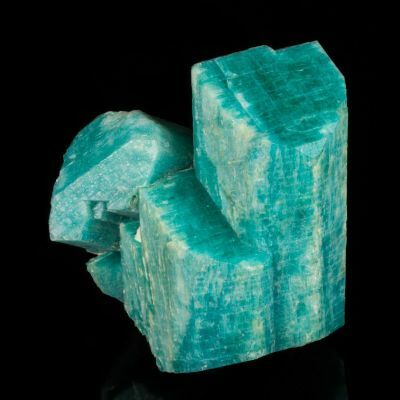 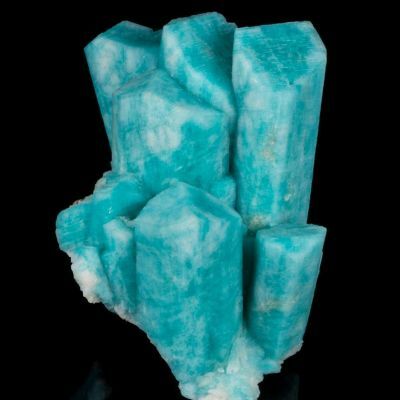 The amazonites have superb deep robin's-egg blue color. 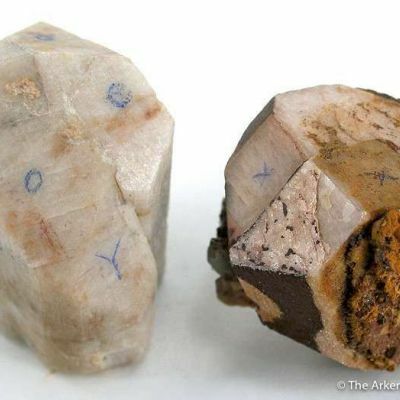 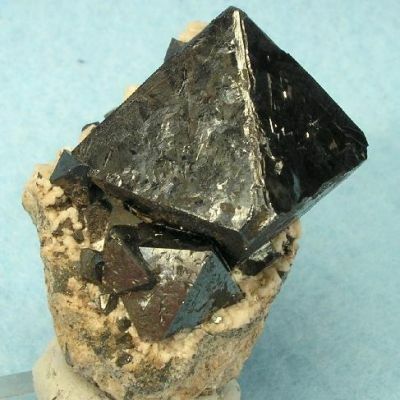 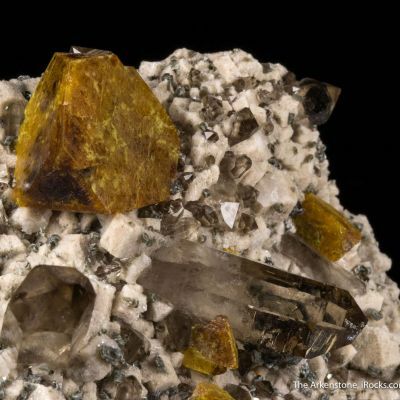 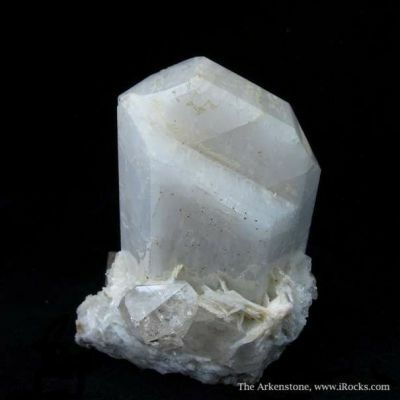 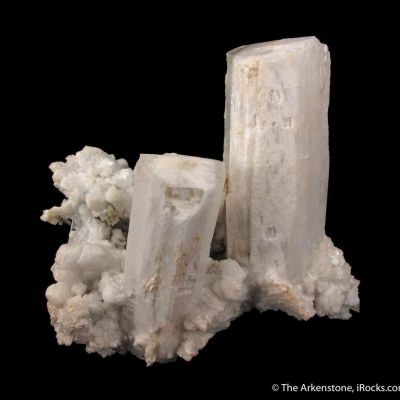 The largest of the crystals measures 4.5 cm along the edge.